The Clayton Antitrust Act of 1914 (Pub.L. 63–212, 38 Stat. 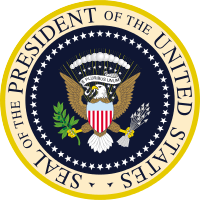 730, enacted October 15, 1914, codified at 15 U.S.C. §§ 12–27, 29 U.S.C. 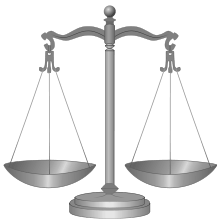 §§ 52–53), was a part of United States antitrust law with the goal of adding further substance to the U.S. antitrust law regime; the Clayton Act sought to prevent anticompetitive practices in their incipiency. That regime started with the Sherman Antitrust Act of 1890, the first Federal law outlawing practices considered harmful to consumers (monopolies, cartels, and trusts). The Clayton Act specified particular prohibited conduct, the three-level enforcement scheme, the exemptions, and the remedial measures. Like the Sherman Act, much of the substance of the Clayton Act has been developed and animated by the U.S. courts, particularly the Supreme Court. Since the Sherman Antitrust Act of 1890, courts in the United States had interpreted the law on cartels as applying against trade unions. This had created an impossible situation for workers, who needed to organize so as to rebalance the equal bargaining power against their employers. The Sherman Act had also triggered the largest wave of mergers in US history, as businesses realized that instead of creating a cartel they could simply fuse into a single corporation, and have all the benefits of market power that a cartel could bring. 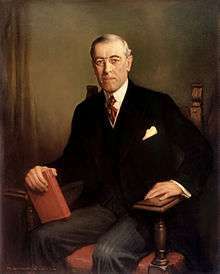 At the end of the Taft administration, and the start of the Woodrow Wilson administration, a Commission on Industrial Relations was established. During its proceedings, and in anticipation of its first report on the 23 October 1914, legislation was introduced by Alabama Democrat Henry De Lamar Clayton Jr. in the U.S. House of Representatives. The Clayton Act passed by a vote of 277 to 54 on June 5, 1914. Though the Senate passed its own version on September 2, 1914, by a vote of 46–16, the final version of the law (written after deliberation between Senate and the House), did not pass the Senate until October 5 and the House until October 8 of the next year. any person from being a director of two or more competing corporations, if those corporations would violate the anti-trust criteria by merging (Act Section 8; codified 1200 at 15 U.S.C. § 19). Unilateral price discrimination is clearly outside the reach of Section 1 of the Sherman Act, which only extended to "concerted activities" (agreements). Exclusive dealing, tying, and mergers are all agreements, and theoretically, within the reach of Section 1 of the Sherman Act. Likewise, mergers that create monopolies would be actionable under Sherman Act Section 2. Section 7 of the Clayton Act allows greater regulation of mergers than just Sherman Act Section 2, since it does not require a merger-to-monopoly before there is a violation. It allows the Federal Trade Commission and Department of Justice to regulate all mergers, and gives the government discretion whether to give approval to a merger or not, which it still commonly does today. The government often employs the Herfindahl-Hirschman Index (HHI) test for market concentration to determine whether the merger is presumptively anticompetitive; if the HHI level for a particular merger exceeds a certain level, the government will investigate further to determine its probable competitive impact. Section 7 elaborates on specific and crucial concepts of the Clayton Act; "holding company" defined as "a company whose primary purpose is to hold stocks of other companies", which the government saw as a "common and favorite method of promoting monopoly" and a mere corporated form of the 'old fashioned' trust. Another important factor to consider is the amendment passed in Congress on Section 7 of the Clayton Act in 1950. This original position of the US government on mergers and acquisitions was strengthened by the Celler-Kefauver amendments of 1950, so as to cover asset as well as stock acquisitions. Because the act singles out exclusive dealing and tying arrangements, one may assume they would be subject to heightened scrutiny, perhaps they would even be illegal per se. That remains true for tying, under the authority of Jefferson Parish Hospital District No. 2 v. Hyde. However, when exclusive dealings are challenged under Clayton-3 (or Sherman-1), they are treated under the rule of reason. Under the 'rule of reason', the conduct is only illegal, and the plaintiff can only prevail, upon proving to the court that the defendants are doing substantial economic harm. An important difference between the Clayton Act and its predecessor, the Sherman Act, is that the Clayton Act contained safe harbors for union activities. Section 6 of the Act (codified at 15 U.S.C. § 17) exempts labor unions and agricultural organizations, saying "that the labor of a human being is not a commodity or article of commerce, and permit[ting] labor organizations to carry out their legitimate objective". Therefore, boycotts, peaceful strikes, peaceful picketing, and collective bargaining are not regulated by this statute. Injunctions could be used to settle labor disputes only when property damage was threatened. The Supreme Court ruled in the 1922 case Federal Baseball Club v. National League that Major League Baseball was not "interstate commerce" and thus was not subject to federal antitrust law. Procedurally, the Act empowers private parties injured by violations of the Act to sue for treble damages under Section 4 and injunctive relief under Section 16. The Supreme Court has expressly ruled that the "injunctive relief" clause in Section 16 includes the implied power to force defendants to divest assets. Under the Clayton Act, only civil suits could be brought to the court's attention and a provision "permits a suit in the federal courts for three times the actual damages caused by anything forbidden in the antitrust laws", including court costs and attorney's fees. The Act is enforced by the Federal Trade Commission, which was also created and empowered during the Wilson Presidency by the Federal Trade Commission Act, and also the Antitrust Division of the U.S. Department of Justice. ↑ California v. American Stores Co., 495 U.S. 271 (1990). ↑ Kintner; Joelson (1974). An International Antitrust Primer. New York: Macmillan. p. 20. ISBN 0-02-364380-3. "Clayton Antitrust Act". Pearson Education. Retrieved 19 January 2012.